A quick glance turned up more than a few bills worth paying attention to among those that deal with Maine’s fish, wildlife and wild places. As Augusta insiders will often tell you, paying too much attention to that first list of bills is often an exercise in futility because few of the most polarizing bills end up gaining much traction among legislators. That is true. But each session, a few unexpected bills do emerge from the pile, leaving many of us scratching our heads and wondering what in the world is going on. — LR 68, which seeks to make freshwater fishing hooks and lures biodegradable. This is a topic that has been discussed for years, and it bears a serious debate. A few years back, I had a memorable conversation with a registered Maine guide who told me he thought soft plastic lures were a particular problem, as they are ingested by fish and never break down, eventually leading to health woes for those fish. He said he thought requiring biodegradable lures was a good idea, but he was still using the nonbiodegradable lures in his own business. Why? Because his competitors were using them, and he did not want to give them an advantage. 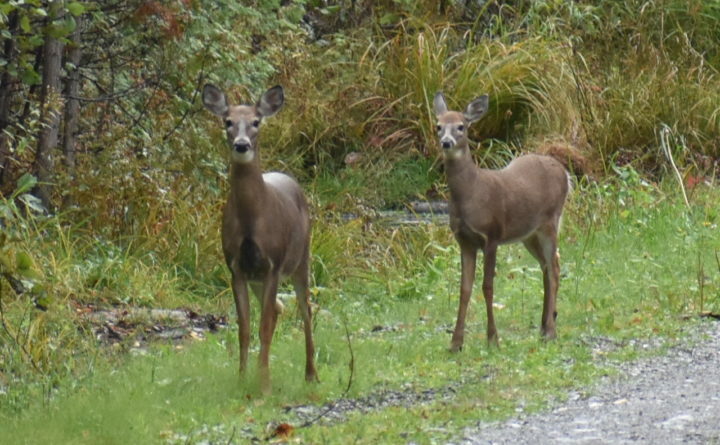 — Two bills, from separate legislators, seek to allow hunting deer over bait. Gut reaction from this desk: Bad, bad idea. But it will be interesting to hear how (or if) the legislators in question decide to defend those bills. — LR 514, which would give the commissioner of the DIF&W the authority to adjust bear hunting seasons and bag limits. The goal, it seems, is to give the department another tool in its effort to slow the growth of the state’s bear herd. This approach may have merit, but trust me on this: Any bill dealing with bear hunting will be contentious, to say the least. — LR 161 would allow for a spring bear hunt. See also: LR 514 above. This will have an uphill fight if it is to succeed. — LR 1971 would allow Sunday hunting in unorganized territories. After covering outdoor issues for more than 15 years, I cannot see this bill moving forward. The same proposal has gone in front of legislators each year for years, and farming, forestry and small woodlot interests have made it clear they do not want hunting on Sundays in Maine. — A bill that would move the state’s Bureau of Public Lands from the control of the Department of Agriculture, Conservation and Forestry to the control of the Department of Inland Fisheries and Wildlife. Interesting idea. We will see if there’s any widespread support. Back in December I let you know about another fly-tying opportunity for experienced and rookie participants, as the Veazie Salmon Club had announced it was opening its doors to a regular Monday evening tying session. Note to prospective tiers: Do not show up on Mondays from now on. Earlier this week, I received word from the club that they changed the day of the week for those sessions. Unless weather conditions force cancellation, tying will take place on Tuesdays until further notice. The day was changed to avoid conflict with the popular Penobscot Fly Fishers beginning fly-tying classes, which are also held on Mondays. The Veazie tying takes place at 6 p.m. You’re invited to bring your own equipment or use the club’s gear, and everyone’s invited. If you’re able to help instruct, that’s great. If you want to learn, that works, too. Or if you just want to sit in the background and enjoy tying a few flies with others, you’re more than welcome. The club is located at 30 Old County Road in Veazie. It’s that time of year again. The ice is getting thicker, more and more ice anglers are heading onto their favorite lakes and ponds, and civic organizations are busily planning their own ice fishing derbies for the coming weeks and months. If you’re a tourney fisherman, you can find all kinds of options, from derbies that are open all season long on any legal body of water, to those that are single-day events on a specific lake. And we want to help get the word out about your upcoming fishing derby. If you’re involved with the planning or promotion of an ice fishing derby (or any other outdoor-related event, for that matter), send a brief press release to me at jholyoke@bangordailynews.com and be sure to include the important details. As always, including the who, what, where and when are essential if you want us to be able to spread the word to our readers. Then, after the event is over, be sure to send a few photos of the lucky winners to the same email address. Happy fishing, and good luck!